By default, the mod_security module of Apache is enabled on all our servers for optimal security. 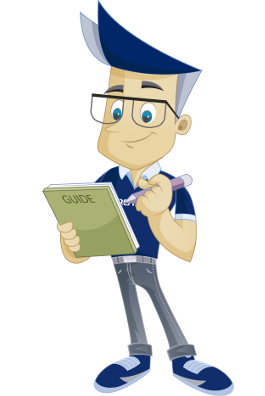 This guide shows how to turn off the mod_security module for a domain name in cPanel. 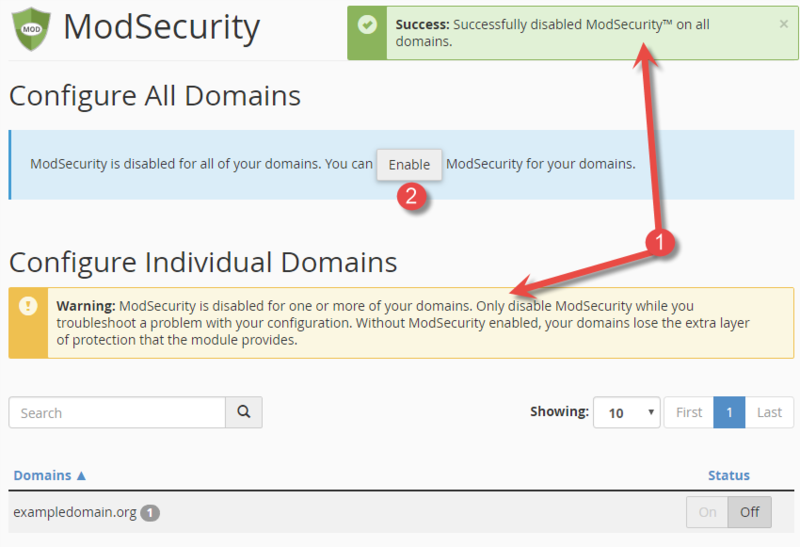 When mod_security is disabled in cPanel it can take up to 1 minute before changes take effect on your domain. Below you will find information about what the different things mean. With this button you can disable mod_security for all your domain names. Here you can disable only for a current domain name. If you have many domain names and only want to turn off for a single, you can search for the domain here. Below, mod_security is disabled on all domain names. The notification shows that mod_security was turned off on all domains and that it is not recommended to keep it disabled. If you want to enable mod_security, you can enable it for all domains again by using this button. 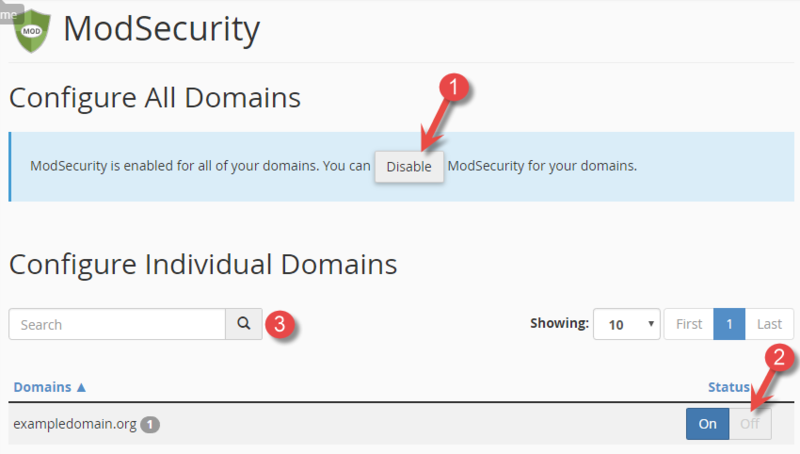 We have now been through how to disable the mod_security module for your domains in cPanel.